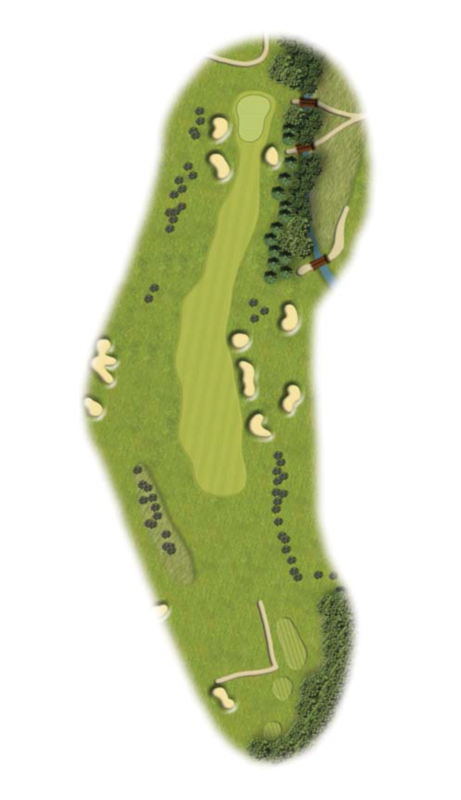 Pros Tip - Slicers will want to avoid the right hand of the bunkers off the tee. A medium iron will probably be needed to find the green. A stream lurks to catch the wayward approach.